…She’s choosing the one man that’s considered traitorous and dishonorable by her family and in her homeland. Mumtaz Al-Ghazi is a beautiful 18-year-old quintessential virgin, a nurse and an orphanage operator. In secret, she uses her power and influence as the daughter of the rich ex-prime minister to fight oppression and honor killings against women in her anti-American Middle East nation. Even though she is loved by all, she is harboring a traitorous secret punishable by death — falling in love with a wanted American CIA agent who she hides in plain sight despite her engagement to an intolerable young man she doesn’t love who is the head of the security services. In the land where helping an American is considered traitorous and punishable by hanging, Mumtaz and her accomplices have no choice, but to add Agent Gaines and her love for him to her growing list of Shrouded Secrets. A relevant book that couldn’t be timely enough with its global hot topic of honor killings, forced marriages, women abuse and oppression. A 94K full length Romantic Suspense Thriller novel that is cinematic, dramatic, visual and reads fast. 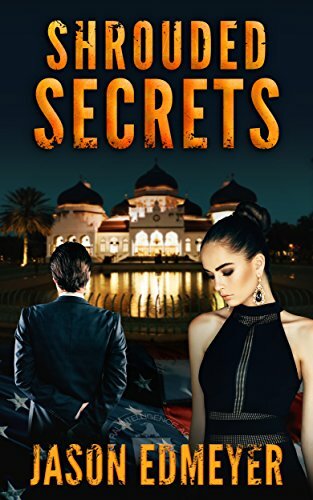 If you love Homeland, Tyrant, 24, Not Without My Daughter, ARGO and the passionate romance in Titanic and The Notebook, you’ll love Shrouded Secrets. A different kind of romantic suspense thriller series full of action, deeply drawn and well developed characters. Come and experience loyalty, survival and compassion at its very best!